Update: Linux Mint 18 'Sarah' Final released is now available for download. See here. Linux Mint 18 codename 'sarah' finally released BETA version both MATE come with mate 1.14 & Cinnamon Edition come with cinnamon 3.2 are available for download from their official website, Linux Mint 18 based on Ubuntu 16.04 LTS which come with a ton of new features is awaited by Linux mint users. 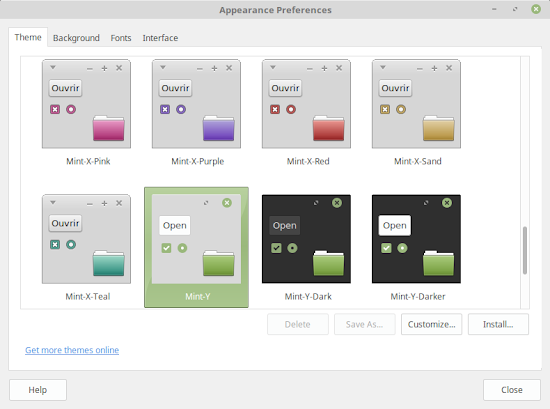 Linux Mint 18 introduces "Mint-Y", a brand new theme on Linux Mint 18. Linux Mint 18 Main components features MATE 1.14, MDM 2.0, a Linux kernel 4.4 and an Ubuntu 16.04 package base. Download link BETA release for Linux Mint 18 “Sarah” MATE Edition is available from their official blog file_downloadhere. Download link BETA release for Linux Mint 18 “Sarah” Cinnamon Edition is available from their official blog file_downloadhere.